Miss T has a long experience as a singer. She studied singing and harmony at the Academy of Music "CDPM" in Bergamo, therefore getting a jazz education. She has a lot of live experience both as a chorist and as a soloist for many cover bands. Are several genres of music in which she adept: pop, rock, jazz and bossa nova. In 2001 she participated as chorister at "Tim Tour" and "Rock TV". From 2001 to 2007 she worked for many events, festivals, clubs, throughout all the region. From 2008 to 2010, she decided to stop the live experience, but continues to work in studio for friends, and in 2010 collaborated in the production of Dj Paolo Aliberti's album as singer and lyricist. At the end of the year thanks to the encounter with the Mad Tubes has started to sing live, study and sing rhythm and blues. 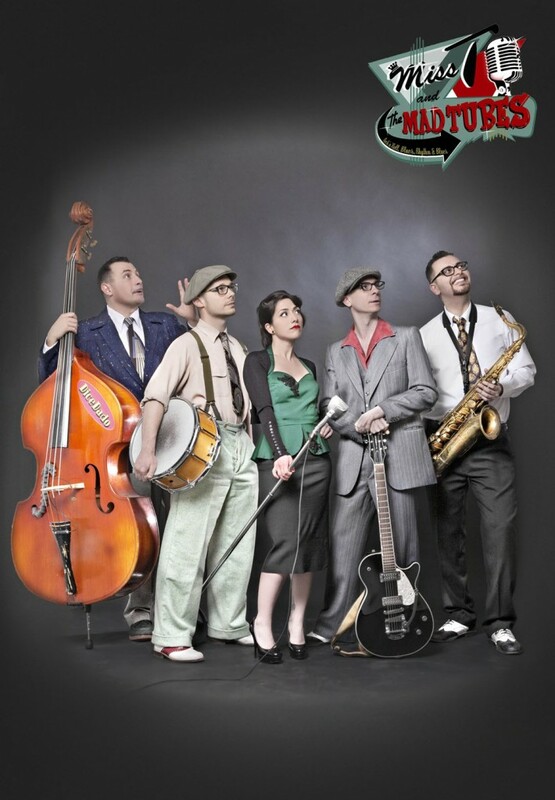 Miss T and the MaD Tubes are a music reality, absolutely rhythm 'n' blues. The band makes its first release in August 2011 and get an instant success, culminating with the partecipation at the Vintage Roots Festival 2012. The project gets more then excellent results especially after the release of their album "She's That Gorgeous" (released with the label Vintage Roots Records), which saw the extraordinary participation of well-known saxophonist Big Jay McNeely. The presentation of this early work coincided with the participation of Miss T and the MaD Tubes at the Summer Jamboree in August 2013, then followed from Ubangi Stomp (Benidorm, Spain) and many Italian gigs. Ubangi Stomp (Benidorm) 2013, Summer Jamboree 2013,Vintage Roots Festival 2012, Rockabilly Showdon 2012, Sun Rock Festival 2012, Roxy (Ulm) 2012.